1990 Sea Ray 220 Sundancer-SOLD! 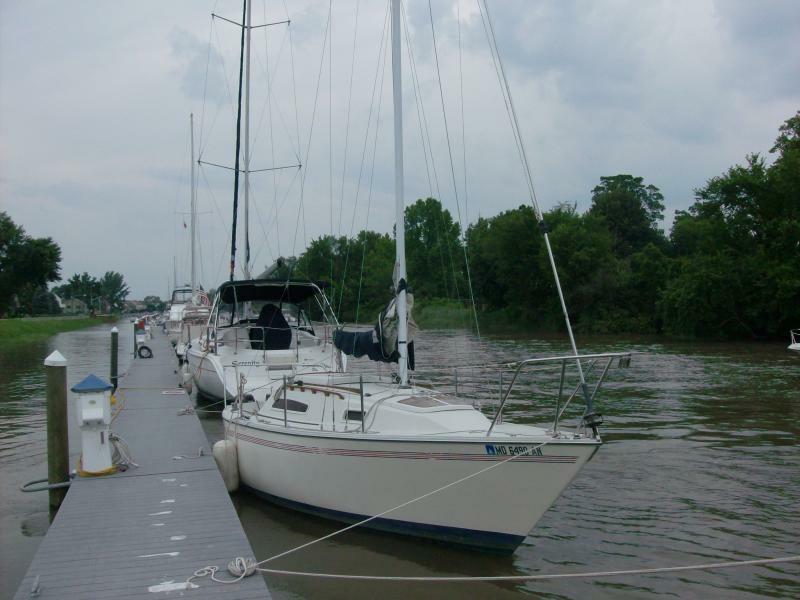 We own a comfortable fleet of boats (power, sail and watersports). 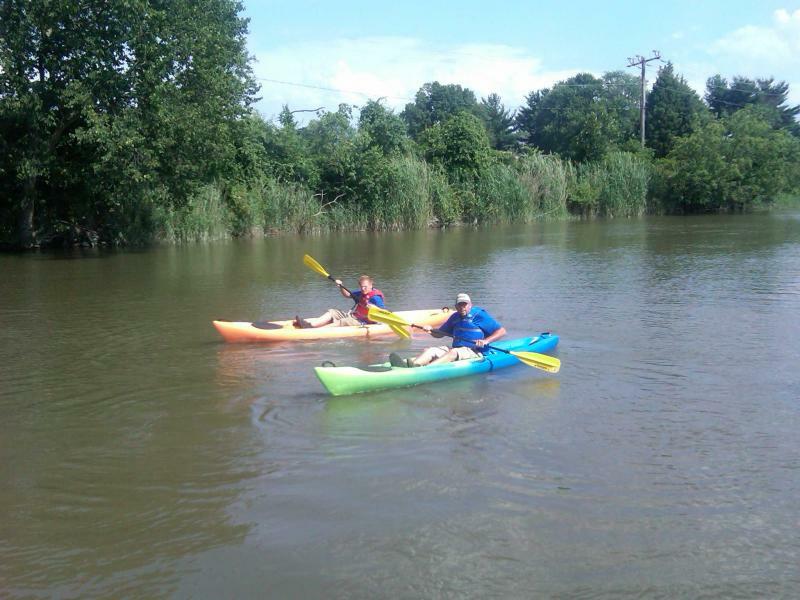 There's lots of cool stuff to see and do on the Delaware River and C&D Canal. 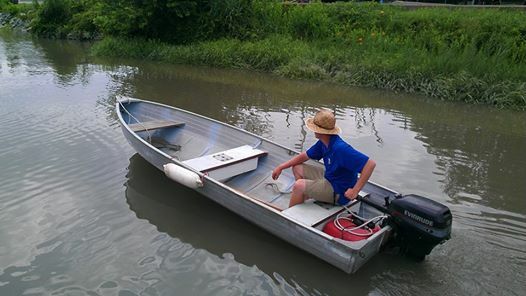 Call us and see if we have the boat you need ready to go!! 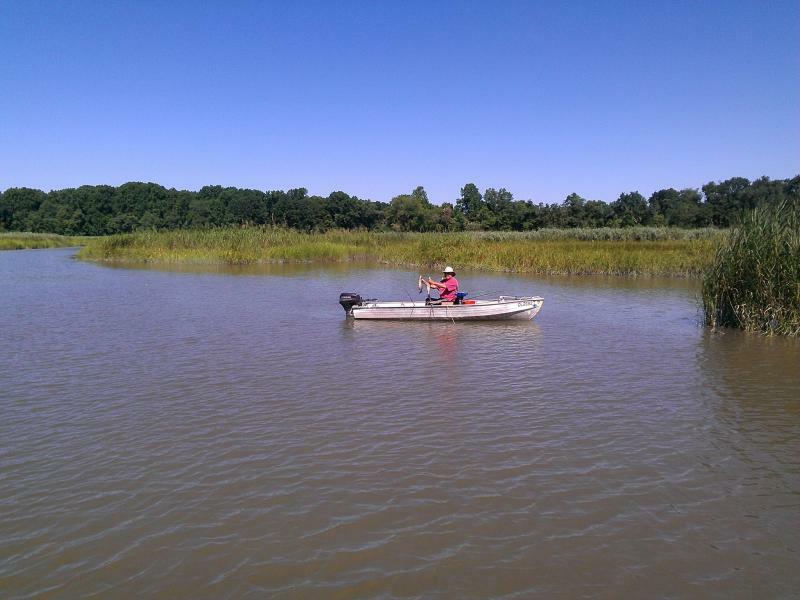 Captains, mates or instructors available: $100 per half day, $200 per full day. Full day: 10 am to 6 pm. Half day: 10 am to 2 pm or 2 pm to 6 pm. 50% Deposit required at booking. Deposits are refudable within 48 hours of your rental starting time. No refunds after that time unless the boat gets re-rented. 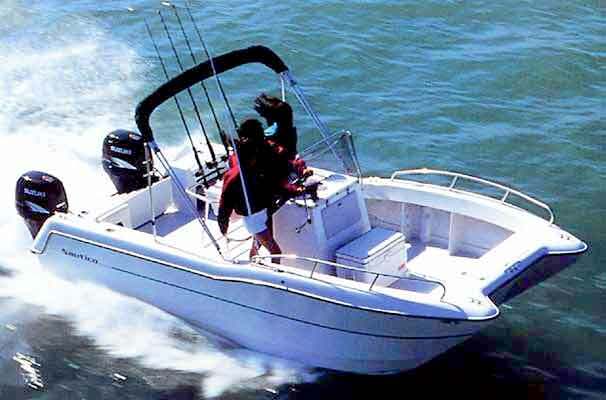 Family fun or awesome fishing machine, the Cuttyhunk 28' is a solid craft that offers superior comfort and plenty of space to fish. There is an enclosed head for your comfort. $180 per half day, $320 per full day. Call for multi-day rentals. The Peasron is a fun, sleek weekend cruiser. She's rigged so all lines run aft and has roller furling head sail. 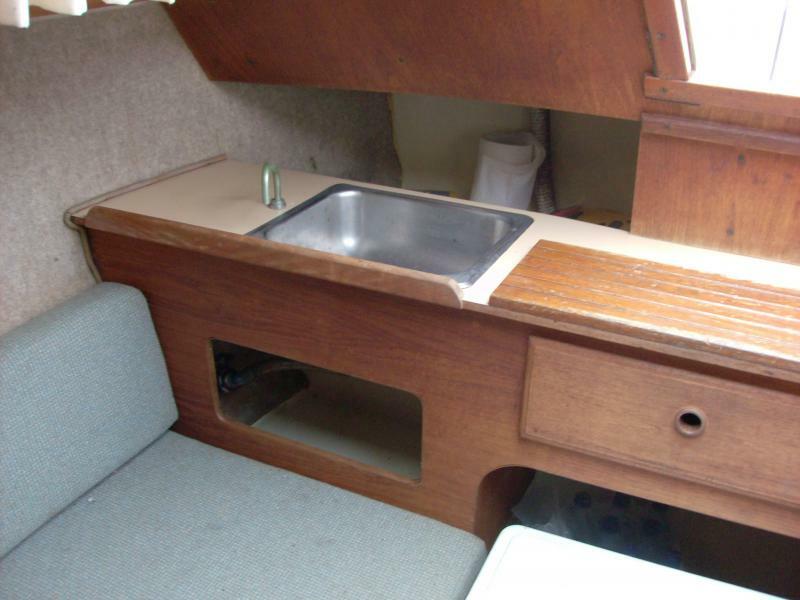 She has a small galley shown below (stove on the other side). 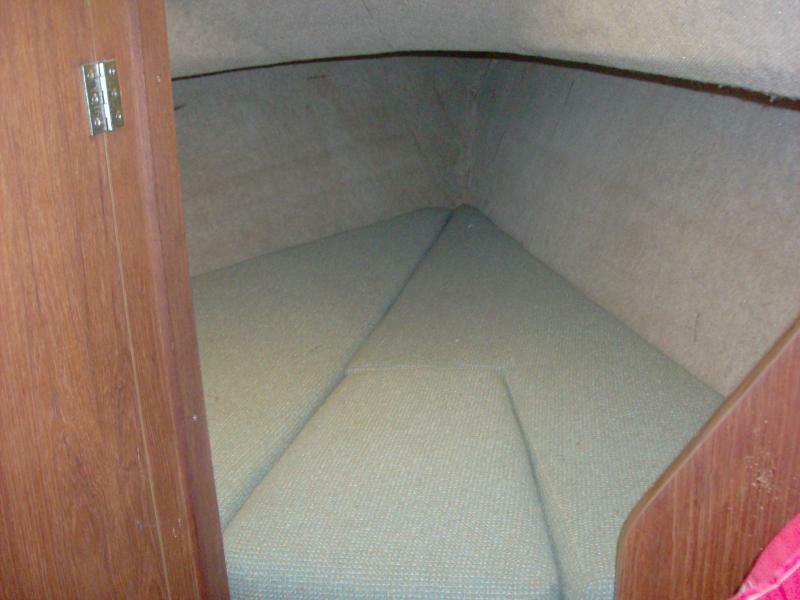 Above is a photo of the V-berth looking forward. You'll notice the hinges on the door to the private head on the left side of the picture. 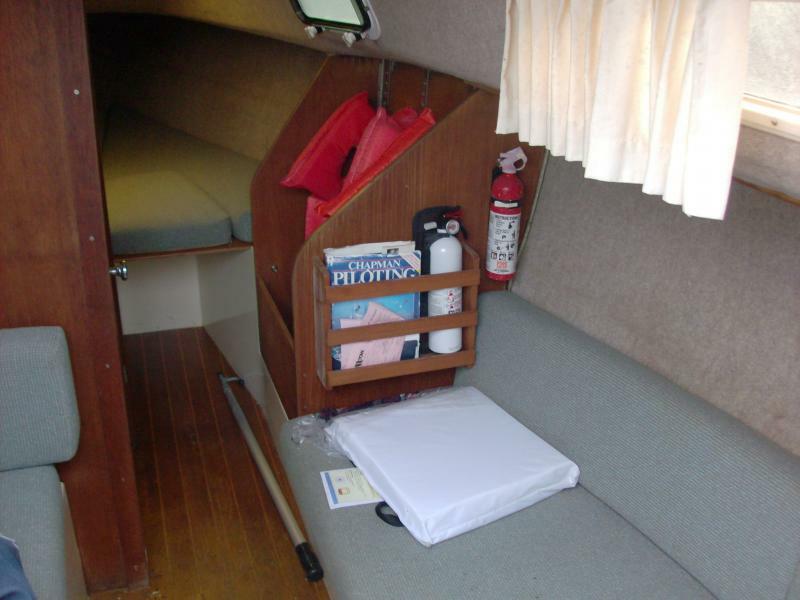 Below is a photo looking forward and shows the starboard (right) berth, book rack, hanging locker all on starboard and on port (left) the cushions of the forward dinette seat on the wall that separates the enclosed head to port side. Kayaks rent for $6 per hour with a two hour minimum. All kayaks are one-person, sit-on-top style. The Island Cat is a twin engine, center console power catamaran. 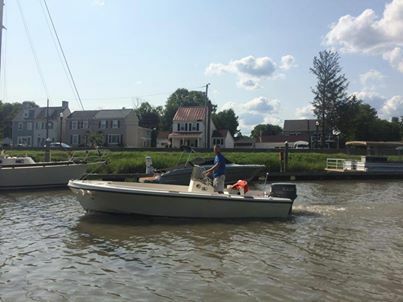 Shown with a bimini in the photo, the current Island Cat has a soft T-top with five rod holders. 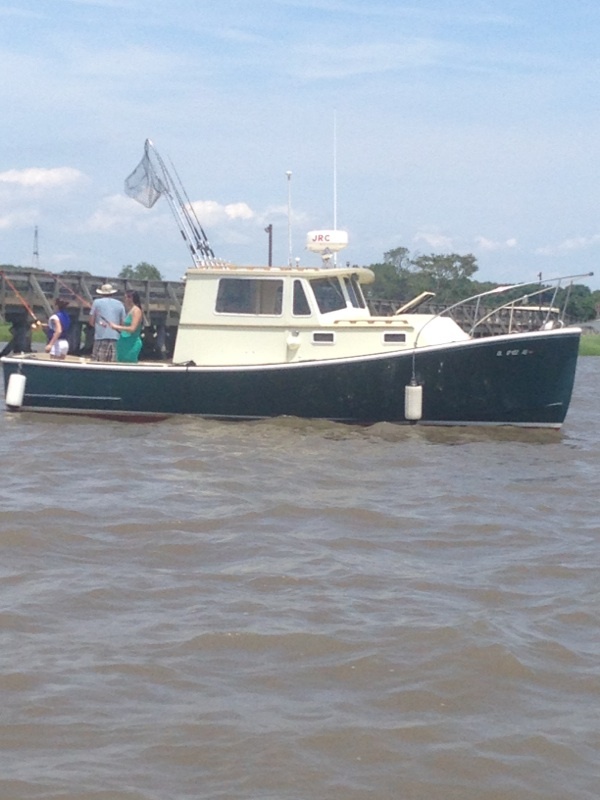 The Island Cat is perfect for a day on the river fishing, cruising or lounging. This boat only rents with a captain. The rate for the Island cat with captain is $480 per half day and $760 per full day.